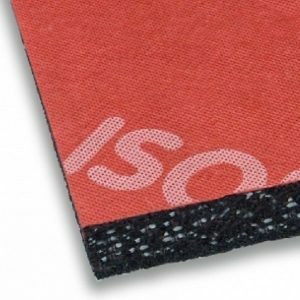 Hood Solution is 10mm thick self adhesive car soundproofing layer for use underneath the car bonnet or hood. It has an oil/fuel resistant silver reflective facing. STP Hood Solution is a self adhesive sound absorbing grey material for use in the engine compartments of cars, vans, campervans etc. 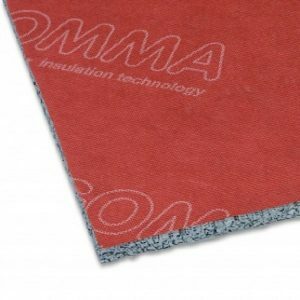 The material is a multilayer combination that consists of a facing layer (sound conducting lavsan polyester metalized film), elastic polyurethane foam and an adhesive layer. The facing layer is an oil and benzine resistant material. Hood solution is suitable for a temperature range from -40°C to 100°C and reflects and blocks engine heat. Hood Solution can be mounted to flat and rugged surfaces with less than 100 mm radius of curvature. If the surface is complex, it can be cut to fit. Bonnet or hood area, boot lid in cars, vans, jeeps, campervans and other types of vehicles.